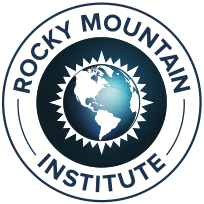 Rocky Mountain Institute (RMI) has been engaged with examining and facilitating market-based technologies that will play a role in addressing the climate problem. To this end, we are examining transitions currently underway in the energy markets, shifts that are occurring or possible in agriculture, and opportunities for biological, chemical and technological sequestration, and in modeling their combined impact with tools such as C-ROADS and En-ROADS from Climate Interactive. We seek interns who will contribute skills and knowledge in one or several of the following areas: system dynamics and modeling; climate science; power and thermal engineering; energy and consumer technology markets; carbon sequestration; and data visualization. The work will be performed as a team of 3-4 interns under the direction of an RMI principal. It is expected that this work will lead to publication in peer-reviewed journals and all participants will have their contributions acknowledged. Work will be conducted at RMI’s newly constructed Innovation Center, a beautiful and award-winning facility which is net energy and water regenerative, situated adjacent to the Roaring Fork River in Basalt, CO, just 30 minutes from Aspen. The Innovation Center is the primary research and convening facility for RMI and includes the offices of Dr. Amory Lovins, Chief Scientist, and several of RMI’s noted principals. The Roaring Fork Valley offers extraordinary opportunities for hiking, biking, mountain climbing, and other outdoor adventure. If you are interested in this opportunity, please send your resume and cover letter with “Climate Study Intern” in the subject heading to HumanResources@rmi.org. RMI is an equal opportunity employer.